Guest post by Victoria Sanchez of Miracles in Action. 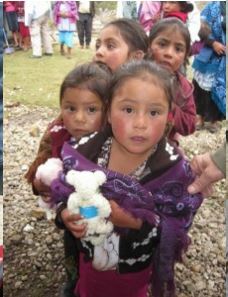 In Guatemala 40% of children do not make it through 1st grade. They start school at age 7 often times not speaking Spanish (they speak an indigenous language of their mother) and do not have the preparation of kindergarten. After failing the first year most children drop out or fail again. 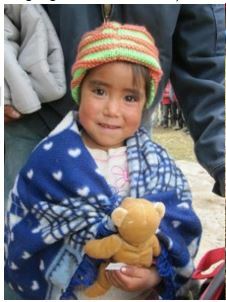 Photos Above: Blankets, hats, backpacks, and toys were distributed on a previous visit to our schools, who now have Magic Classrooms. 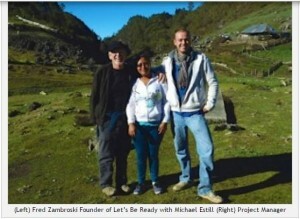 Retired American, Fred Zambroski saw this problem and took action by forming the non-profit charity Let’s Be Ready. They hire unemployed teachers and provide them with early education training for 4-6 year olds, and established 25 preschool programs in rural villages. Since 2010 Miracles in Action has sponsored 5 Let’s Be Ready preschool programs, with some of the teachers being graduates of our scholarship program. 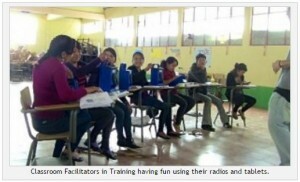 Classroom Facilitators in Training having fun using their radios and tablets. 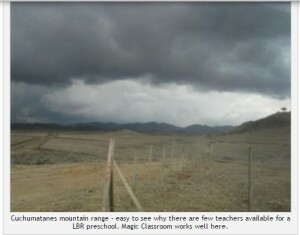 In our remotest villages there are no teachers to hire for a Let’s Be Ready preschool. Seeing this problem, Fred developed the Magic Classroom program, where he hires 16-24 year olds and trains them to become preschool classroom facilitators. Pre-recorded music, lessons, and learning activities are played via a computer tablet, magically transforming the classroom into a fun filled place to learn and grow. 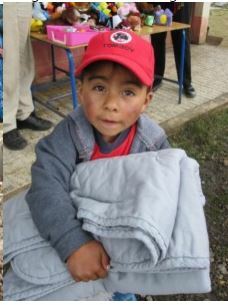 In February 2015, Miracles in Action supported the first magic classroom programs in our schools located in the Cuchumatanes mountains of Huehuetenango at 9-10,000 feet elevation. Cuchumatanes mountain range – easy to see why there are few teachers available for an LBR preschool. Magic Classroom works well here. Thank you Fred Zambroski, and Project Manager Michael Estill for developing this innovative solution to bringing education to the remotest, poverty-stricken villages in Guatemala. This entry was posted in All Things Financial, Guest Blog Posts, Heart Song, Indigenous Life, Volunteering and tagged daily life, gratitude, Happiness, indigenous culture, lifestyle, Personal Strengthening, Travel, Volunteer. Bookmark the permalink.